Radio alarm clock with world time, quartz fabrication, world wide wireless receipt, autom. timer and daylight saving time adjustment, displays time, call setting, snooze, 12 or 24 hour display, backlit LCD display , audio alarm setting, alarm repeat, radio, volume control, station search, optional AC power adapter, large green off button. 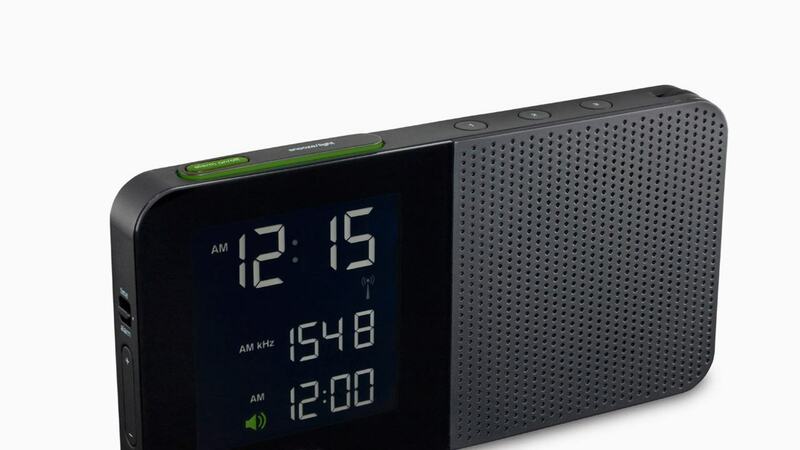 Rams Phase 1 Desk Alarm Clock, Functional and durable in the Braun tradition, this travel-sized alarm clock has a snooze feature, backlight, and LCD with 12- and 24-hour time format and continuously visible alarm time. Made of an ABS plastic case with scratch- and impact-resistant glass. One AA battery included. Learn more from Belinda Lanks CoDesign article. “The only problem is, most of what I know of German culture is dead and gone.” A remark made by Anthony Bourdain in his food series ‘No Reservations‘, covering Berlin . Other than Bourdain, the world wants to believe in Germany as the design nation..
It’s record profits by the German automobile industry facing the Euro crisis. German Design Nation is a placebo effect that should be brought to use. Right now Germany is an overly strained administrative machinery with dying manufacturer sites. Like everywhere else, administration is a pseudo activity more efficiently and more effectively served by algorithms and computers. Now let’s wave to the robots. And cast all eyes on manufacturers.